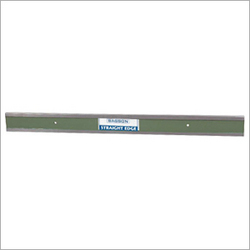 We supply Luthra brand all products like Surface Plate, Straight Edge, Parrall Block, Vblock, Angle Plate. 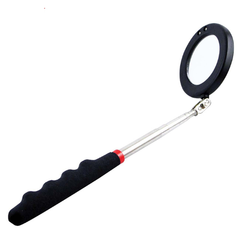 We have led type and without led type inspection mirror. We obligated to meet the quality standards as per the customer demand. 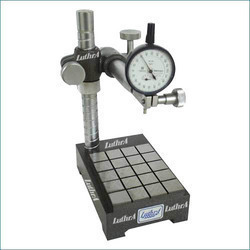 Granite comparator stands are made of black granite and are precision lapped to grade – 0 accuracy. Heavy duty vertical post and adjustable gaging bracket for maximum stability and durability. L – 2 150 x 100 100 65 25 Fine Adj. L – 5 250 x 150 150 95 25 Fine Adj. L – 8 300 x 200 200 125 28 Fine Adj. L – 11 300 x 300 250 125 28 Fine Adj. We supply all sizes of straight edge. One of the center is spring loaded to ensure uniform pressure while holding and easy loading and unloading of work piece without disturbing the accuracy. Centers are made from high carbon steel hardened and ground finish, having more taper MT-3 and are replaceable. Both heads are adjustable to the required positions, easy and quick setting of the required distance between the centers. 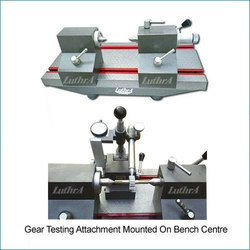 Our range of Bench centers are supplied with computerized calibration certificate traceable to National Physical Laboratory (NPL, Govt of India) New Delhi. 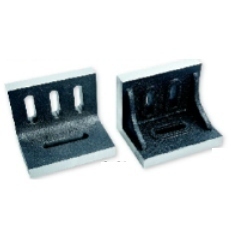 We supply all sizes of c. I. Slotted angle plates. Looking for Luthra products ?